Freak Puke follows on from the Melvin's recent free EP The Bulls & the Bees and sees the band stripped back to a three-piece and playing under the moniker Melvins-lite. King Buzzo and Dale Crover are joined by bassist Trevor Dunn, with Big Business' Jared Warren and Coady Willis sitting this one out. The most obvious effect on their sound comes from Willis' absence; the Melvin's have been playing with two drummers since 2006's mighty (A) Senile Animal . However, the Melvins have never been ones to play it safe and it seems this (possibly temporary) change in the line-up has inspired a wonderfully fresh sounding album. It's laughable really to think that some bands run out of ideas after three albums while Buzzo and Crover still sound this great on their 18th long-player (and that's if you exclude the collaborative releases, EPs and side-projects). Whereas The Bulls & the Bees offered up a taster of classic Melvins sludge-rock, Freak Puke sees the band play around with the dynamics of their sound and, perhaps, their audience's expectations. Opening track, 'Mr Rip Off' starts with a cello and some creepy atmospherics before Crover's drums come in and Buzzo delivers a subtle but spine-tingling riff. No doubt deliberately, Crover's drums have a lightness of touch here and Buzzo's voice sounds less satanic than usual. It's all a marked difference from the bluster and power of 'The Water Glass', the opening track to their last full album. 'Inner Ear Rupture' is a short instrumental; there're some doom-rock guitars at the beginning before the sound of string instruments being throttled attempts to achieve exactly what it says in the title. This leads into the brilliant 'Baby, Won't You Weird Me Out'. The track starts with strings stolen directly from The Velvet's 'Black Angel's Death Song' before exploding into marching drums and a classic metal-via-sludge riff from Buzzo. The Melvins, unsurprisingly, are sounding tight. 'Worm Farm Waltz' starts with another tightly wound riff from Buzzo before turning into something all the more subtle and sinister with the band chanting, "We hear things all the time that are not there". The Melvins were always too clever to be 'metal' or 'grunge'; they've been avoiding those pigeon-holes for years now. This intelligence has always been combined with a willingness to rock though and 'A Growing Disgust' and the riff-heavy 'Leon Vs. the Revolution' seem purpose built to remind us of this. 'Holy Barbarians' follows up the fist-punching rock of the last two tracks with a superbly sinister slice of Melvins weirdness. You just can't pin them down. The title track's fuzzy, sowing-machine riffs are suitably exciting before the Melvin's turn their hand to covering Wings' 'Let Me Roll It'. Who are Wings, I hear you say? Only the band the Beatles could have been. They stay relatively close to the original tune while adding their own unique swagger. It ends up sounding like Kiss. It's amazing. The album winds up with the near 10-minute 'Tommy Goes Berserk' which starts quietly enough before Buzzo unleashes some of his most unashamedly rock fret-work to close the album in suitably celebratory style. 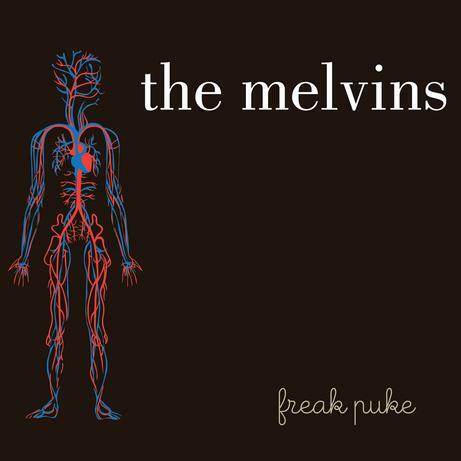 The Melvins are one of the finest rock 'n' roll bands functioning today and Freak Puke is another solid entry for their ever growing catalogue. What's better is that Freak Puke reveals a band that still aren't content to rest on their laurels or simply 'phone-in' a performance. 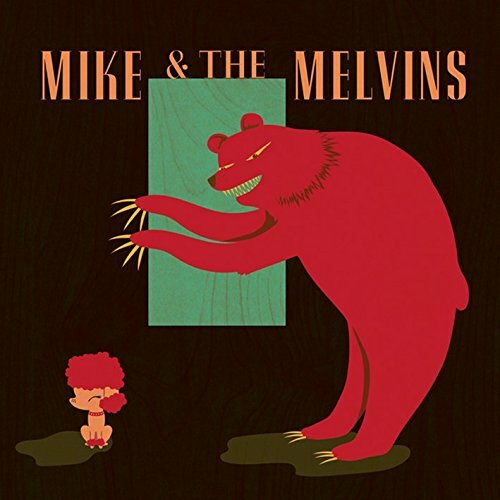 It's encouraging to think that the Melvins in 2012 still have a thirst for experimentation and still sound like they're completely in love with what they do. Long live the Melvins.